No space left for new models? What do you do when there is no space for new models? 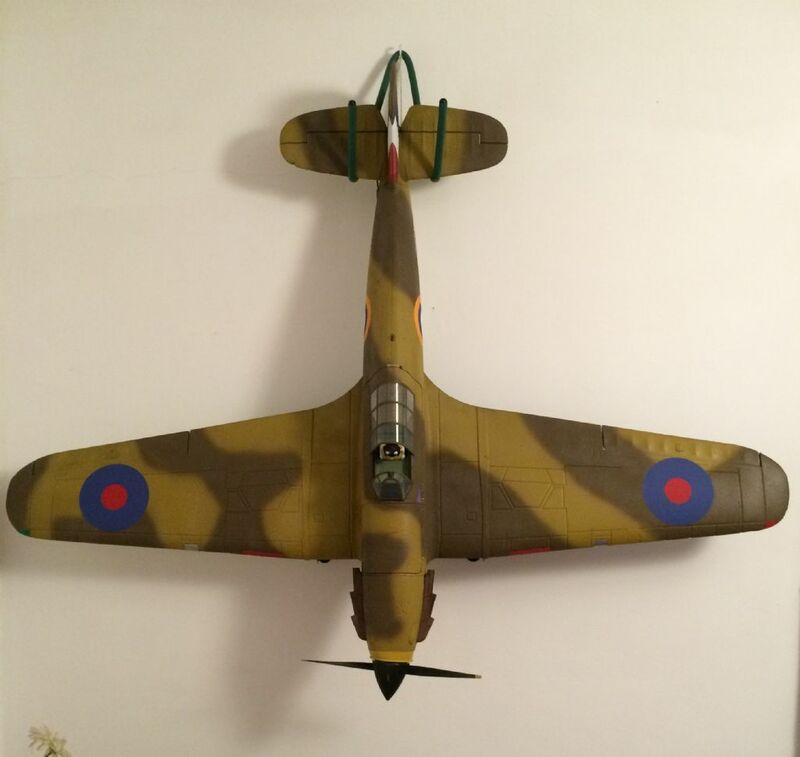 We all have a finite space for storing our models and at the moment I have exceeded my authorised hangar space within my household having had a WW1 biplane building frenzy this year (2 x SFM Fokker DVII, a ‘Veron’ Fokker DVIII and the most recent, a Balsa USA Sopwith Pup). I have found building to be very therapeutic, satisfying and keeps me out of trouble and is something I can do at home whilst keeping an eye on my little boy too. But with the garage roof space full, and 3 models in the spare bedroom that’s it, no more approved space for the model kits I have waiting to be built. So what can I do other than read a book? Solution! 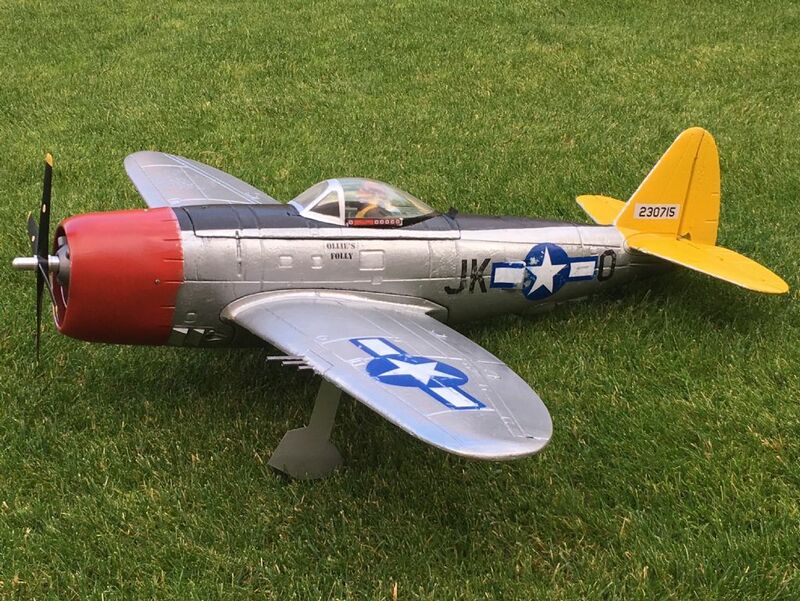 I have some foamie models that are lasting longer now I have become more competent and they have received some hangar rash and general wear and tear. 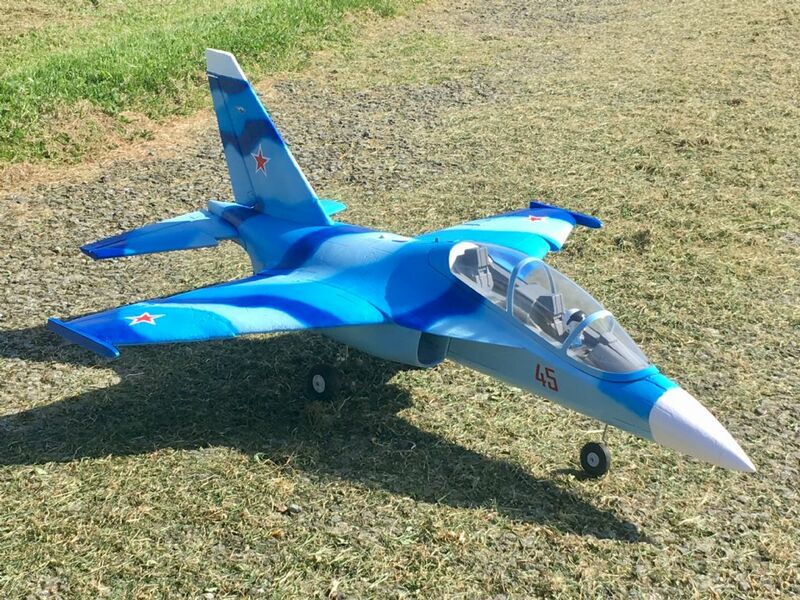 Normally, once repaired after a significant dink, I will look to paint the aircraft in a different scheme; makes me feel like I have a new shiny toy but at a fraction of the cost. Parkzone Thunderbolt x 2. One now wrapped away is converted to a razorback version, and the other that was crashed a couple of times has gone from Snorting Bull, to french AF to RAF as she is now. 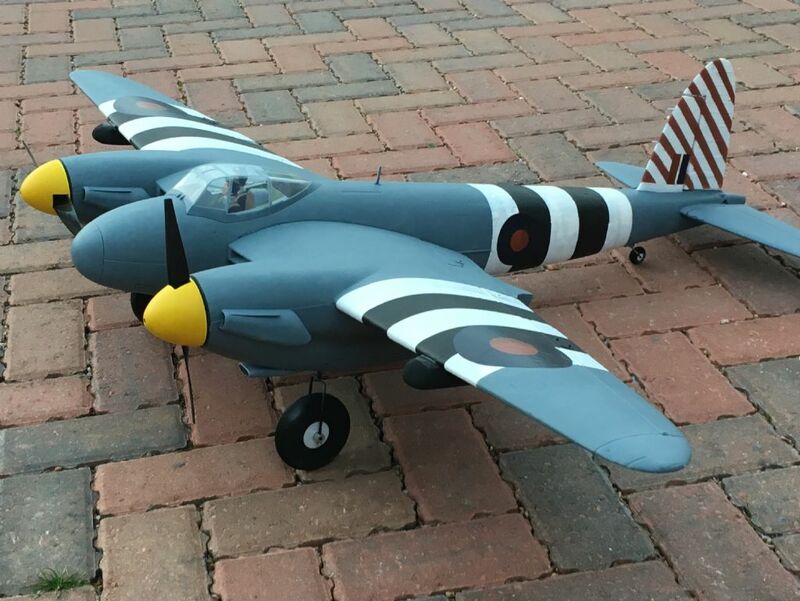 One of my most favourite models is the Parkzone Mosquito, crashed after a slow turn stall, repainted for a night fighter and then more recently converted to a PRU model from Italy. 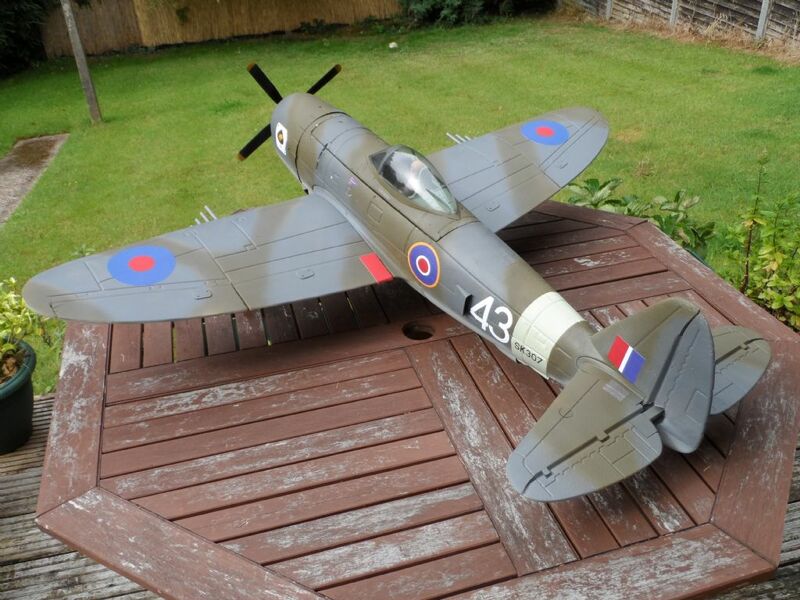 Similarly crashed but repaired only just is my lovely E-flite Hurricane. ESC cut on finals on a very hot day due to poor air flow and cooling. Decided to make her different and go for a tropical filter and desert cammo, but again a little incident needed some significant paint work so why not change her completely? 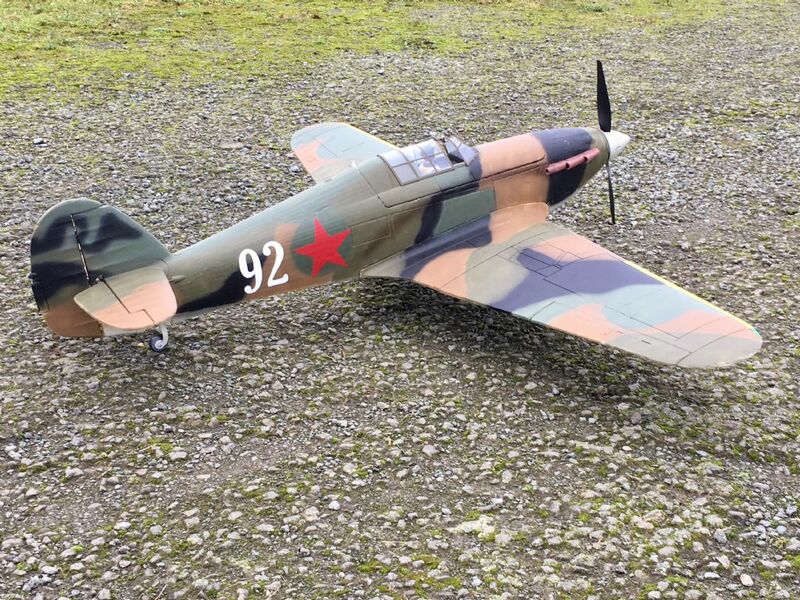 As I had now built my Yak 9, I fancied a Soviet Hurricane, similar to the 3500 or so given to fight on the Eastern Front. 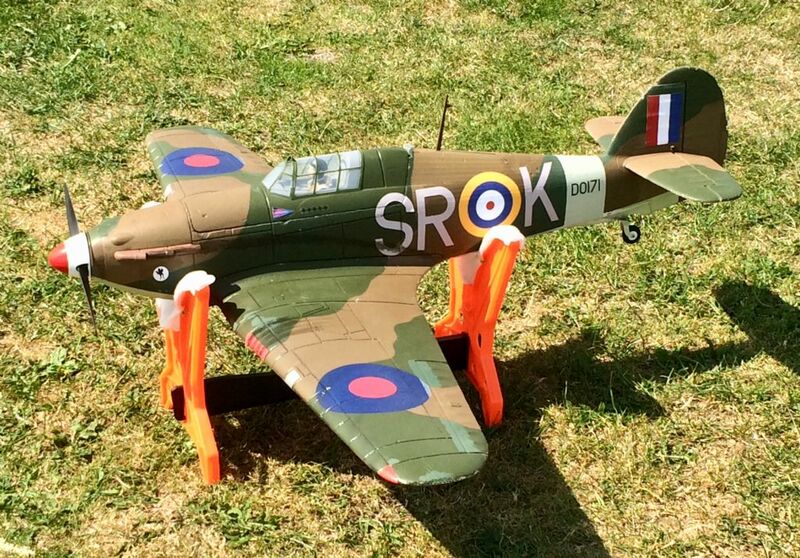 A complete spray job and you can see she was taken from the RAF and quickly adapted in a minimalistic way to Soviet colours. 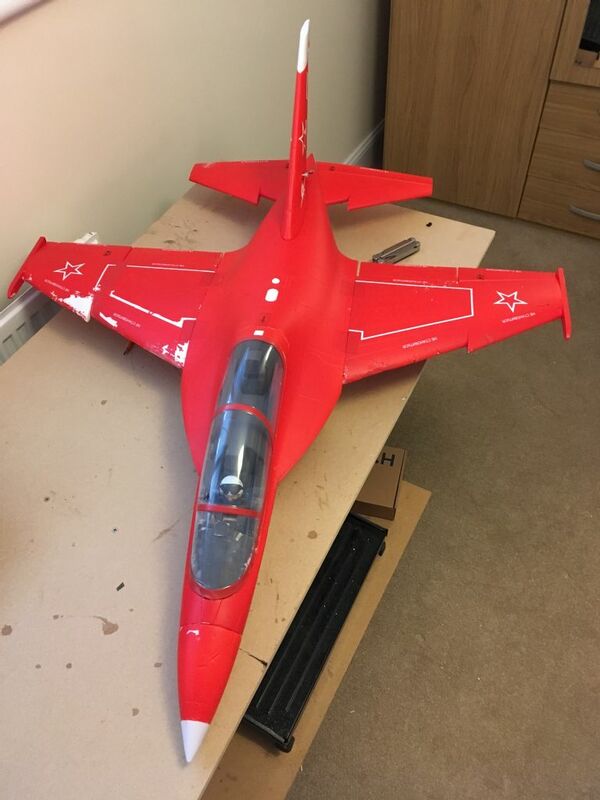 Whilst I was having issues sorting my Pup and its issues, I encoded to sort the worsening paint job on my FMS Yak 130. 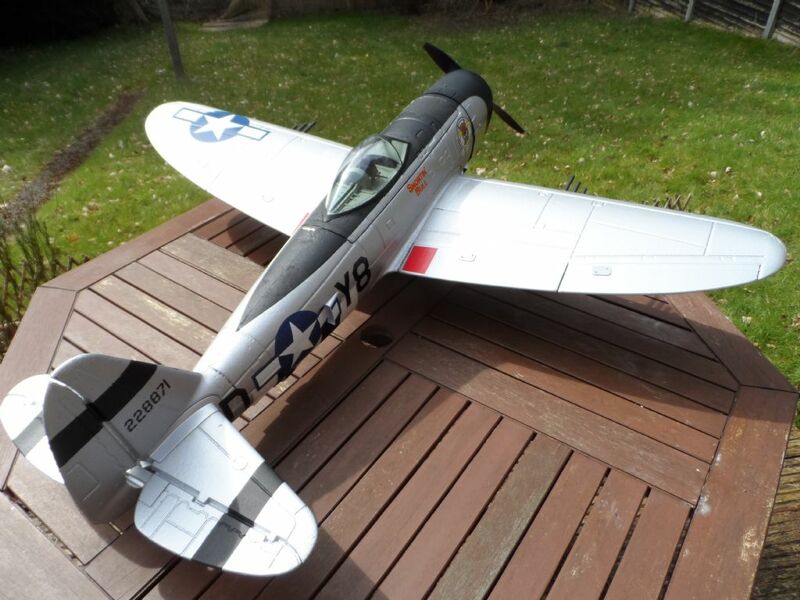 She flies beautifully and looks and sounds great too, but the paint was peeling and looked tired. So having looked on our friendly search engine chose to brighten her up with a nice new blue scheme. Works well at the site and is easy to see which attitude she is in even against bright blue skies. 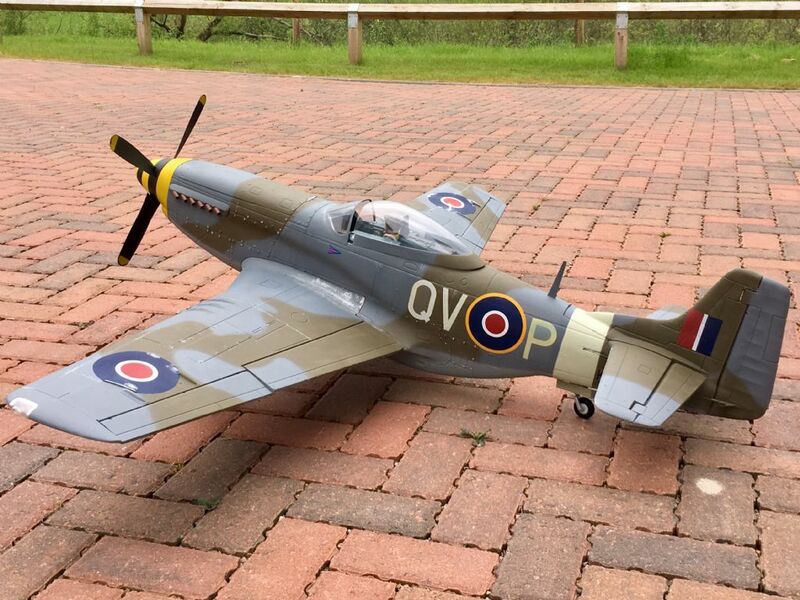 Pup has flown for 30 minutes successfully now and I have itchy feet for a model change. 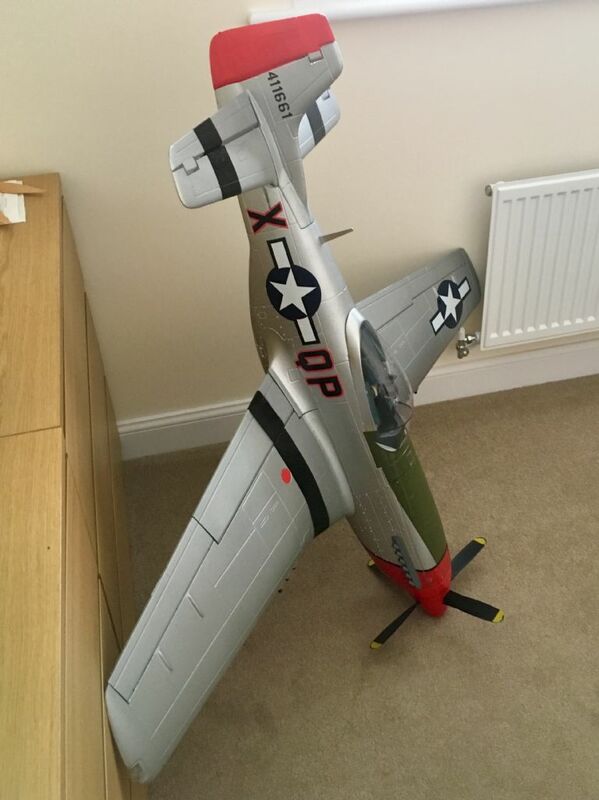 Next up and currently work in progress is my Freewing Mustang. Flew her as a US aircraft on Saturday for the last time before starting work on her this this week. Paint and methods have refined since I started doing all of this and having never been able to find paint that matched the original colours I used Humbrol enamel paints brushed on; expensive and not very efficient way of painting, and the paint cracks. Then I moved to acrylics that offer the flexibility but still labour intensive and bad finish when brushing on large areas. Discovered the Humbrol airbrush with aerosol tins as didn’t fancy spending money on a proper airbrush if I wasn’t going to use it much. It was fine, but not very reliable and quite frustrating. I’d use it alongside the larger acrylic spray cans, but they were not very accurate. Then I discovered Lifecolor paints. A massive selection and much more accurate colours and shades as I was getting into the painting now. Also, as I was doing this more frequently, I invested in a compressor and airbrush from Amazon. I am pleased and pleasantly surprised to say that it works brilliantly and I am very pleased I got one. Not all of the Lifecolor paints take well to foam and I am still learning and experimenting with thinning or not; normally I find no thinning is better for larger areas. Also for my latest project I have discovered the talked about Halfords grey primer. Brilliant paint! Wish I ‘d discovered it earlier. Covers beautifully over all surfaces and colours and takes acrylic nicely. Hopefully the end result of my new project will be proof of this. Additionally it doesn’t leave deposits like dust all over my garage and contents like the white primer I had been using did. I do wear a face mask at all times now and often goggles when using aerosols. So, now that I have no space for new models, I am repainting one of my foamies using skills and knowledge I have gathered over the last few years. 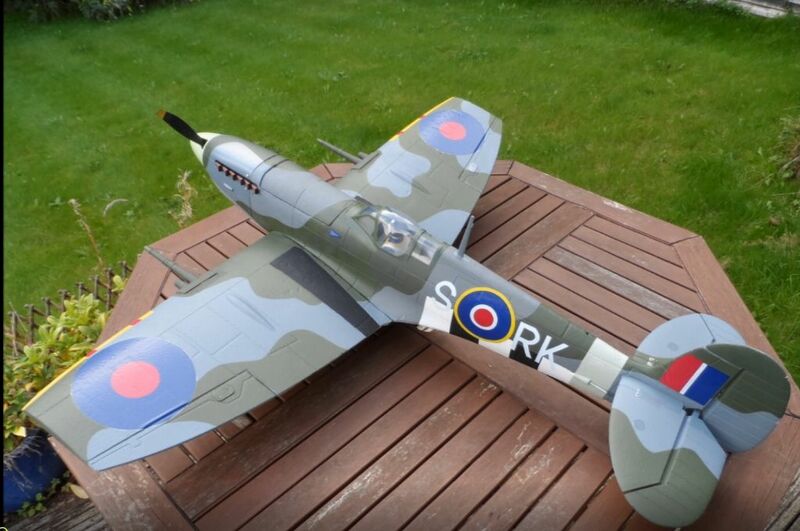 It gives me something to do that I find very satisfying, creates an original model at the flying site and a sense of ‘new shiny toy’! My decal creation is evolving using waterslide and vinyl sticker options and I have yet to try and paint them directly to the model; perhaps that will be next? I would seriously suggest some fast low, inverted beat ups of the patch. That will sort your problem. Nice models. The problems I've had with painting foamies is getting the paint to stick regardless of the application method. If I try masking tape then it takes paint off when it's removed. Unfortunately, I'm in the same position as you as regards storage but finishing isn't the bit of building I enjoy (it's just something I have to do before I can fly. 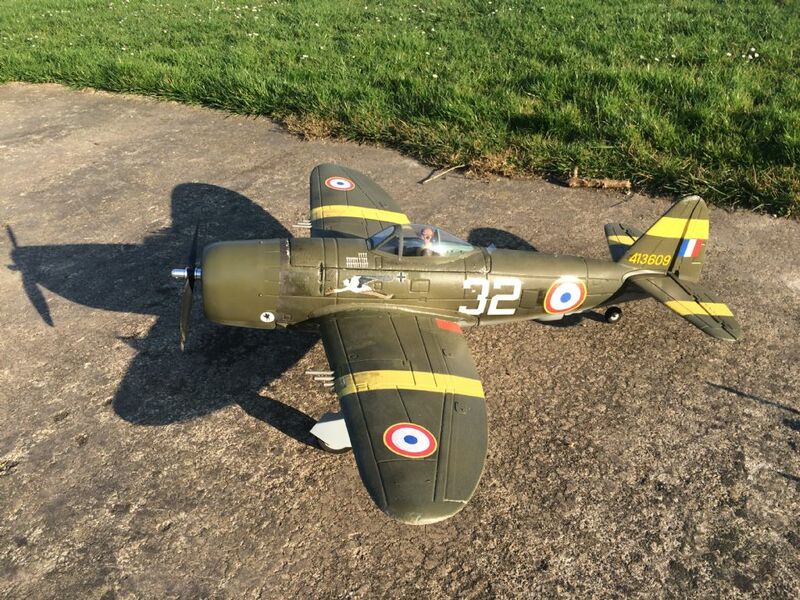 I enjoy balsa bashing and solving the little problems that arise when building a wooden airframe so I would get little satisfaction from refinishing existing and flyable models. Your finishing looks great though. You don't live anywhere near Belper do you? So, two solutions offered, sell or break. Part of the pleasure is then the challenge to repair them and see them fly once more. My earlier models were not so lucky and went to the bin quickly. Sell them? Difficult after putting in the time to fix them up and certainly won’t get a good price for them; though I haven’t tried to be honest. 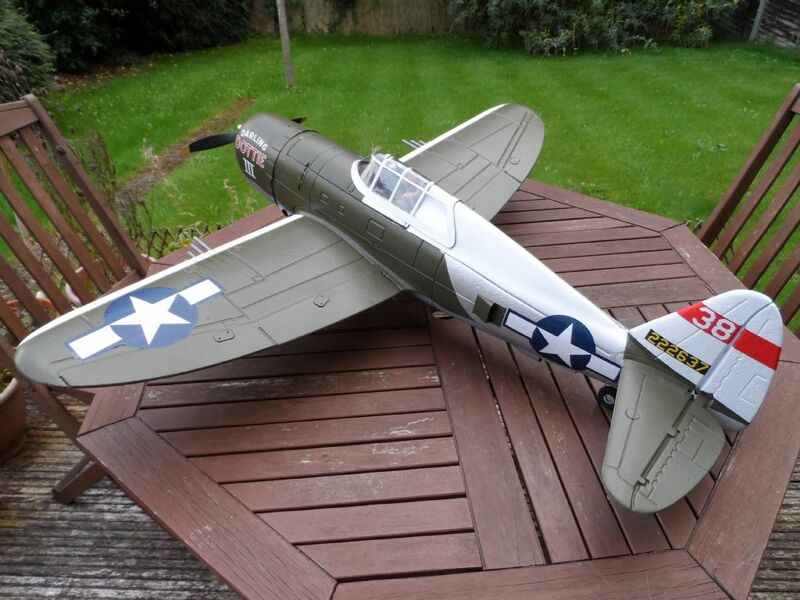 As for masking tape and paint peeling, I use Tamiya masking tape for straight lines and the finer detail; peel it, stick it on my jeans briefly, then apply it to the model making sure there has been 24 hours since the paint was applied. If I need to protect an larger area, I then add normal masking tape on top of the Tamiya stuff and ensure it doesn’t touch the paint. I have even used cloths to protect from over spray or held card as a shield. About 11 years ago I also had the problem of too may models. . They were in every room in the house and there was no room left for new ones. Solution: I bought a bigger house. Fantastic post, Simon. Lovely jobs. You can tell it's been worth it when you can't tell from the photo that it's a foam model. ...and +1 for Halford's grey primer. Great stuff! Well I will be looking to see what else I can paint now having finished my Mustang. Very happy with the finish, the Halfords grey primer is more the dark grey so had to seek the appropriate light gull grey for the whole underside, but it was very easy to cover. The decals seem to have come out ok this time, though I did have an issue with my first attempt and lack of acrylic varnish covering; got a bit of bleeding so had to redo a few of them. Used Mr Decal Paper this time and it seems pretty good to be fair. had to use the RGB codes to fill in the gaps between the letters as they were a bit fiddly to apply with gaps in them. So after the useful advice I had about making space, I did manage to Cat 5 my Icon A5 a couple of weeks ago. 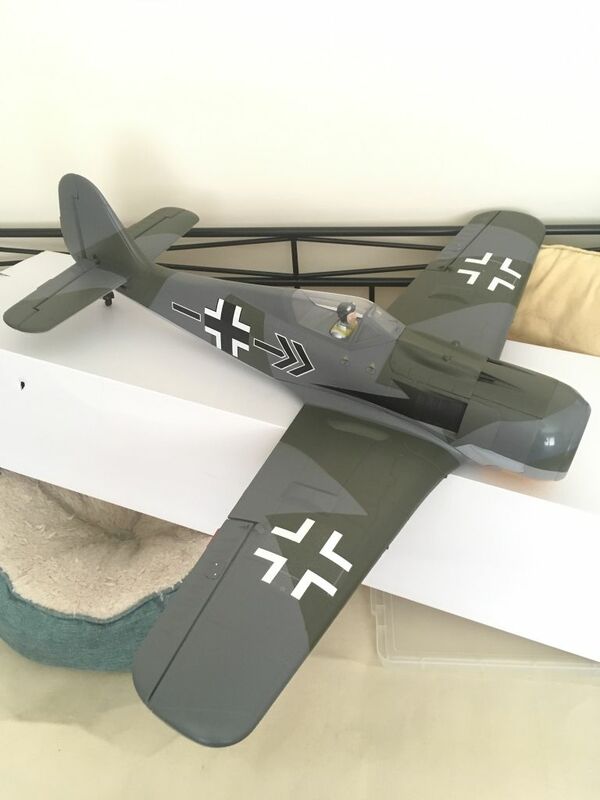 Now before that happened I bought an airframe only set of the Parkzone FW190 with the view to painting and detailing it and then trying to sell it. That way I had a project but didn’t need the space at the end of it. 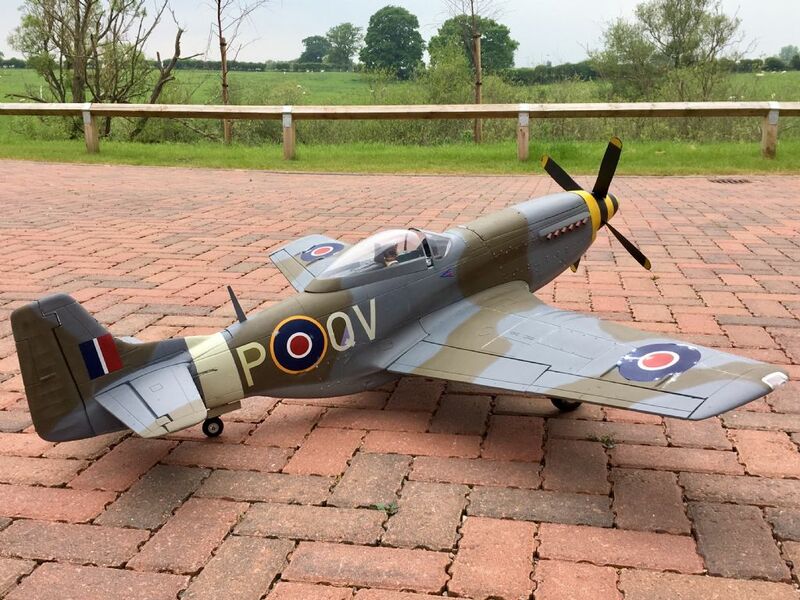 It was a pretty poor paint scheme in my opinion and could do with some improvements although it is based on an actual aircraft. Additionally, trying to get parts for it to get it sorted seem very to almost impossible to find, especially the 74” retracts. Now having crashed the A5 through a technical error not pilot (ail control rod disconnected??! ), I had space in the garage and I had just moved them all around to make them more accessible. 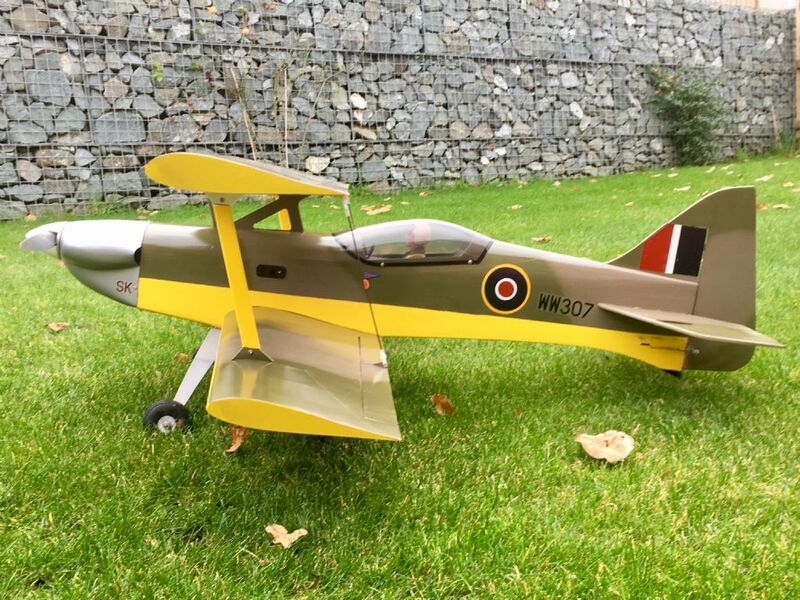 I can’t find the proper retracts and I have plenty of spare components that seem to match the spec from my older no longer with me models or those that are just moth balled until my little boy wants to fly (maybe). 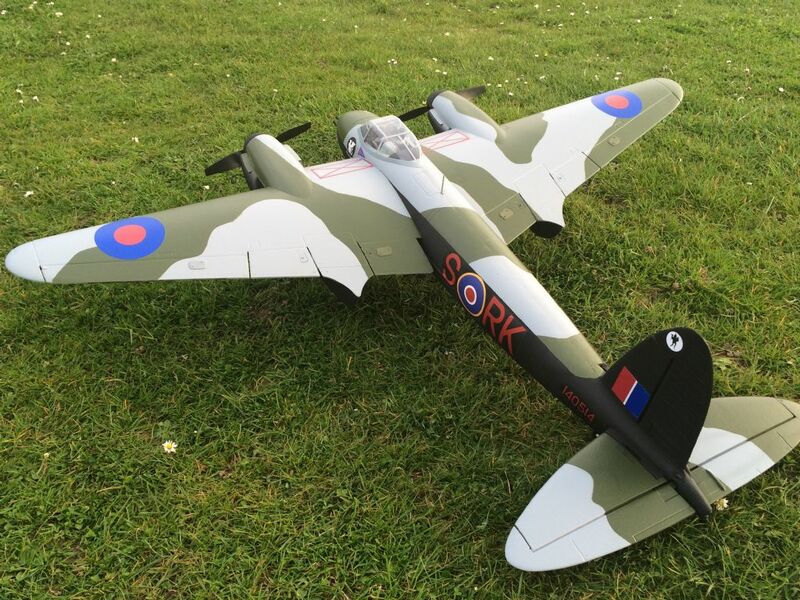 I have sourced all the bits needed and used 90” retracts which work fine and only look wrong fo the few minutes on the ground before wheels up. I wanted to do a scheme that was more realistic and personal. 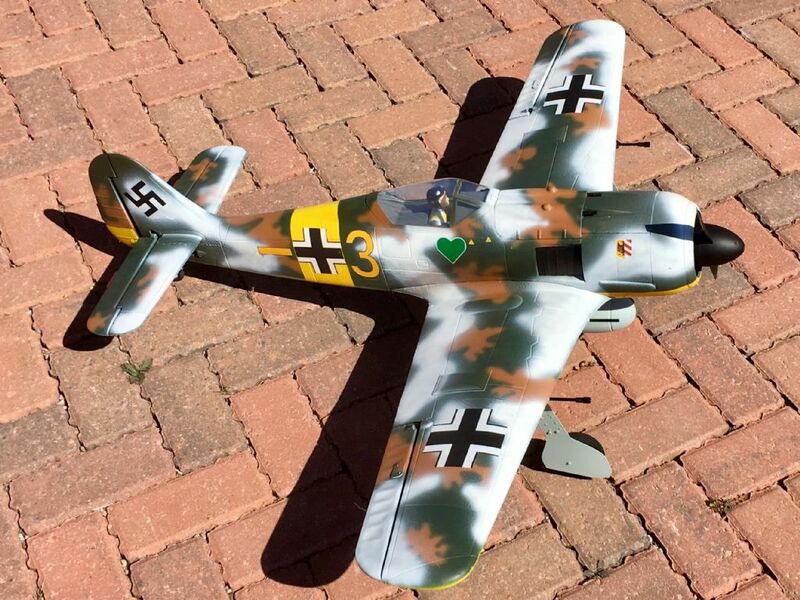 tried the 2 tone Dark Green and Black Green looking at a Grun Herz aircraft. The difference in colour at this scale is minimal so I decided to add the brown found in some variants on the Eastern Front and then thought what the heck go all out and add the white too. Made the decals on the PC through various scanning and scratch design and printed on Decal paper and covered suitably with Matt acrylic varnish to seal them. 24 hours later they were applied and I am pretty happy with the end result. Wasn’t sure at the beginning but it has grown on me. 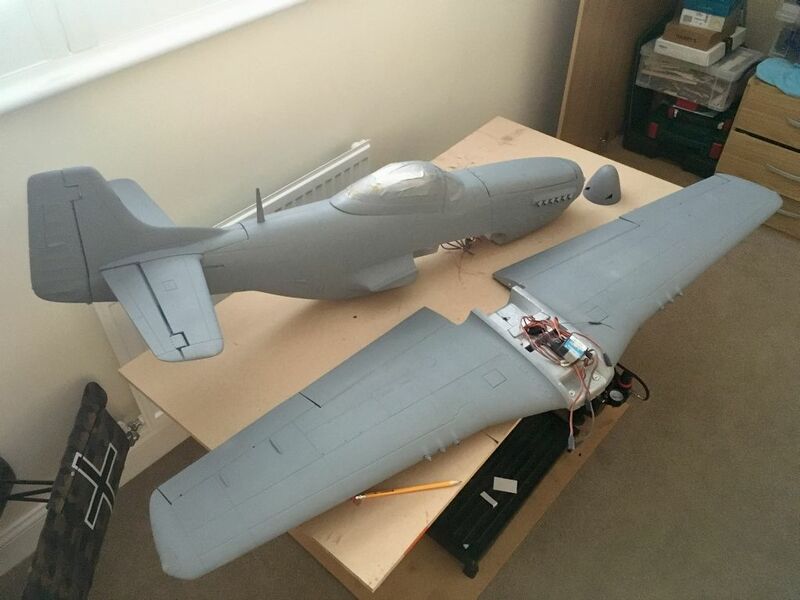 Today she had all the electrics working and I just now need to maiden her. This should make her standout at the flying site and not be too boring! An interesting thread SImon as I'm just about to try painting my ST Models MX2 Foamie, it's been an unopened kit boxed in my shed for 3 years and the supplied sticker set has all cracked to pieces. May I ask what airbrush and compressor you got from Amazon? I am in the same position of having a Humbrol airbrush and spray tins as you were and have been considering getting a better airbrush but the array is bewildering. If you have a set your happy with for this kind of project it would be useful to know. Hi Jon, the compressor which came with 2 airbrushes was a Foxhunter KMS Kit AS186, compressor with tank. I since upgraded the airbrush and got a Sparmax MAX-3 from Airbrush.com. I use the Lifecolor acrylics and it can be a bit hit and miss with their dilution ratios but definitely use the acrylic thinner now rather than water. Th lighter colours tend to clog the nozzles quicker than darker for some reason, so its worth getting cleaner kit too. Hope that helps. Thanks for the advice Simon. Airbrush and Lifecolor acrylics on the way for the project and will be making a trip to Halfords on Monday for primer. Wish me luck! I'll post a picture of the end result when done. Hey Jon, how has the resptay gone for you? I too faced space issues, 5 years ago it was solved when the house was destroyed by a fire, now I am faced with the same space issue so I helped my son by a house 6 houses down the road. 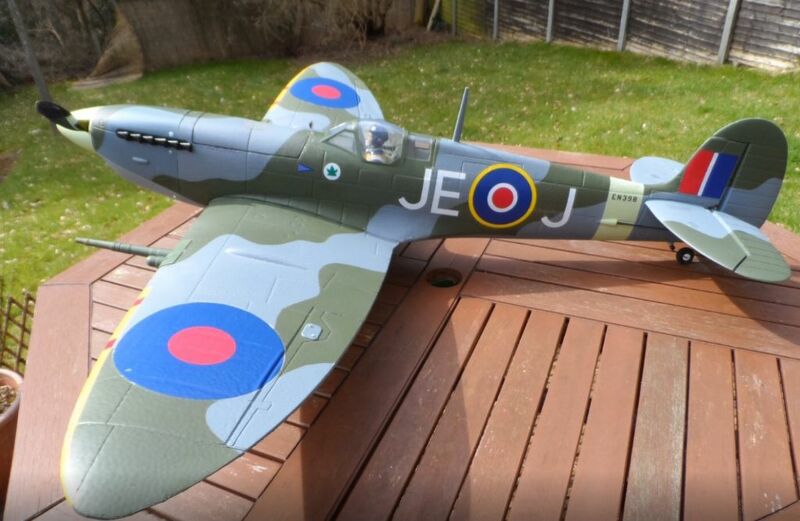 As he is also an avid modeler it means I can store air frames at his house but means that you now uses my workshop as a hobby shop and collects stock! I use Tamiya Acrylics and had good results with them but they are expensive. All Forum Topics > Foam models > No space left for new models?